Pickleball is the fastest growing sport in the United States and now Pickleball’s popularity is rapidly growing in the Rockwall area. 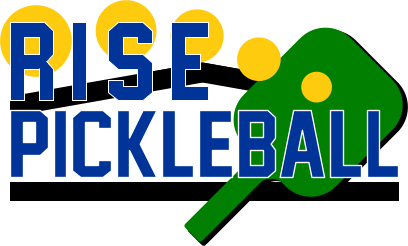 Pickleball enthusiasts from Rockwall and surrounding areas gather locally five days of the week in a couple of locations. The Rockwall/Rowlett Pickleball list of players has almost reached 100 players ranging in age 19 to 89. Pickleball is an active sport that combines many elements of tennis, badminton and ping-pong. It can be played both indoors or outdoors. It is played using a hard paddle a bit larger than a ping-pong paddle and a whiffle ball designed especially for Pickleball. Pickleball is easy for beginners to learn, but soon develops into a fast-paced, competitive game with just a little experience. Regardless of age or ability level, give it a try and instantly you will be hooked! Monday/Wednesday/Friday 10AM to whenever we run out of people (noon or later). Players can purchase a RISE membership for $100 a year or pay $5.00 daily drop in fee. If you are interested in having some fun and meeting a new group of great people come on out and join us! Listen to what one novice player has to say about it in this video from the USA Pickleball Association.